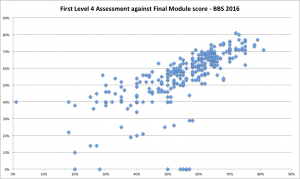 1 The probability of failing the course if a student hasn’t submitted assessment 1 is almost 90%, making assessment 1 a strong predictor of future failure. 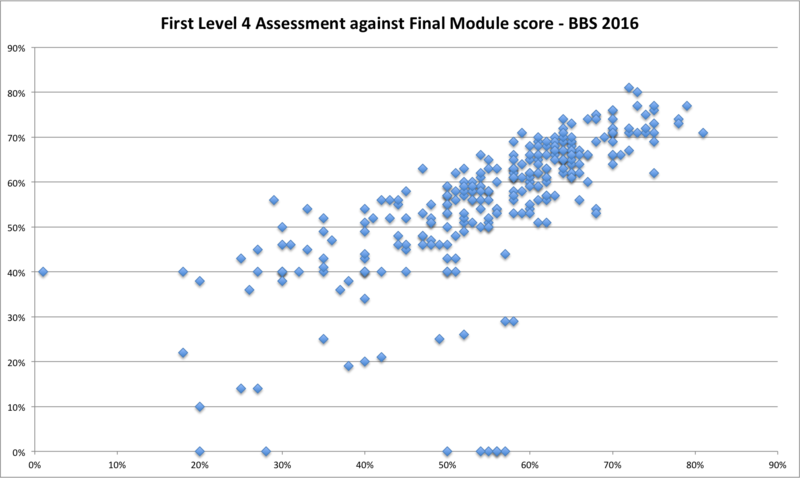 2 Some focused investigation into the role of the first Tutor Marked Assignment in predicting the final outcome, found that failing the first assessment had a significant negative impact. Therefore, the key to improving retention is in identifying those students who are at risk of either submitting but failing, or not submitting this first assessment. The elearning team want to help schools ensure that first assessments for our level 4 students are a success and that the technology doesn’t form a barrier to our students. We will be running a number of events to help ensure that your modules are ready to go and that you have the correct resources available to support your students. Drop in sessions will be offered on each campus giving you an opportunity to check your modules are “assessment-ready” and the right support is in place for your students. dates for other campuses will be added shortly, Grand Parade staff please contact Rob Englebright directly, Hastings staff, please contact Tucker MacNeill directly, Eastbourne staff contact Craig directly. Contact your school Learning Technologies Adviser to discuss what you can do to prepare your students’ for their first assignment. based on legacy data. Proceedings of the Seventh International Learning Analytics & Knowledge Conference. Previous Post Playful Learning in 360! Is UoB taking part in the JISC Student Digital Experience Tracker? No – we considered that we already have sufficient surveys (BSS/NSS/module evaluations) to chose not to take part in this one also. We do keep on eye on the findings though which I feel represent our students well.